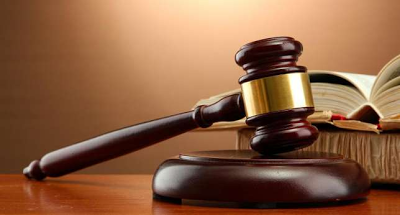 A Sharia Court in Dutse, Jigawa State has sentenced a 32-year-old man to three years imprisonment for stealing mattress at Yalwawa quarters in Dutse local government. The Sharia court Judge, Ibrahim Yusuf Harbo found him guilty of the two-count charge of burglary and stealing, which is contrary to section 193 and 148 of the penal code. Harbo sentenced Usman Amadu to one year imprisonment with option of N20,000 fine on first charge and two years imprisonment with option of N20,000 fine on the second charge. The prosecutor told the court that some of the stolen items included mattress, stoves, Iron, shoes, among others. The accused, Usman Amadu however said he stole the items to meet some of the demand of his fiancée. He explained that she waived almost all the things mostly done before wedding, asking him to provide only N30,000. “She asked me to provide N30,000 only and I have N19,000. I don’t have other means of getting the balance, so I decided to steal and make up the balance,” he stated.